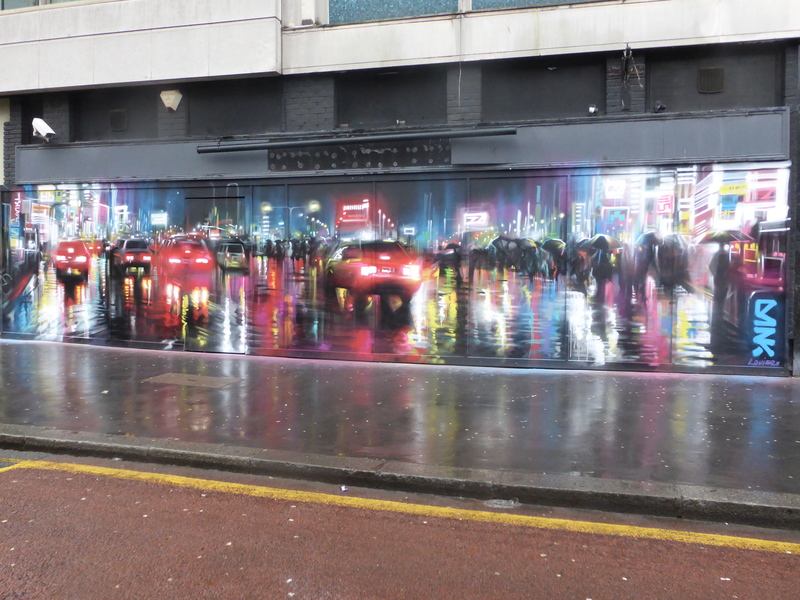 We thought we would finally get our Street Art Tour of Croydon put together and share here with anyone interested. 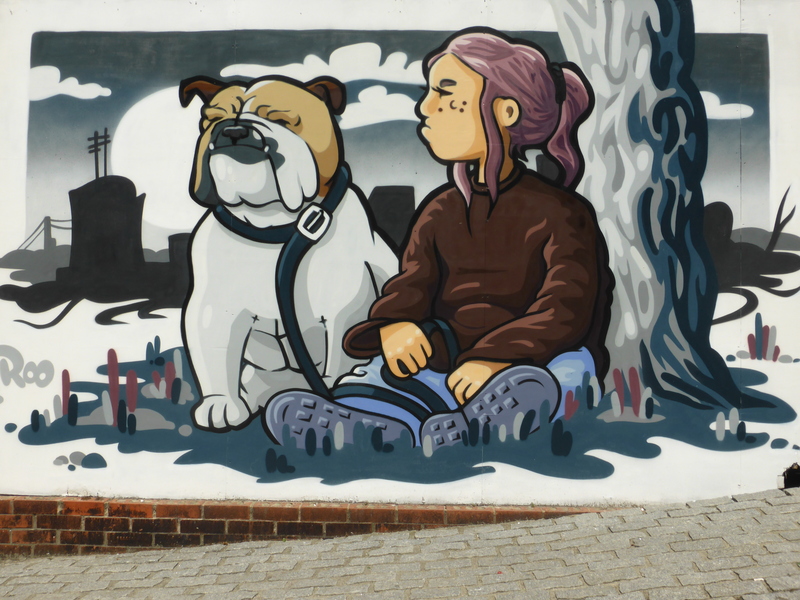 This walk will take you 1-2 hours (depending how long you stop to admire the artwork and take photos along the way) and is a short walk from either East Croydon or West Croydon Station. Our walk begins and ends at East Croydon, where the art trail begins pretty much as soon as you leave the station and can be completed in a mere 10 easy steps. 1. Leave East Croydon Train Station and turn right where at the first turning on your right you will see a colourful fruit stall decorated by Morgandy. 2. Carry on along George Street in the same direction and cross over the road to the left at the junction with Park Lane and you will be in Park Street on your right where you will first meet Croydon’s Arts Quarter. 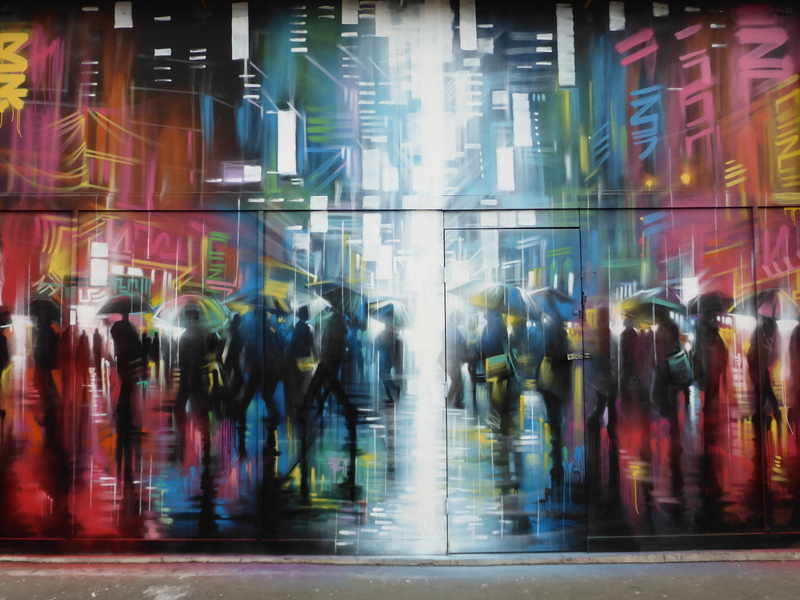 Incredible trio of works by Dan Kitchener. 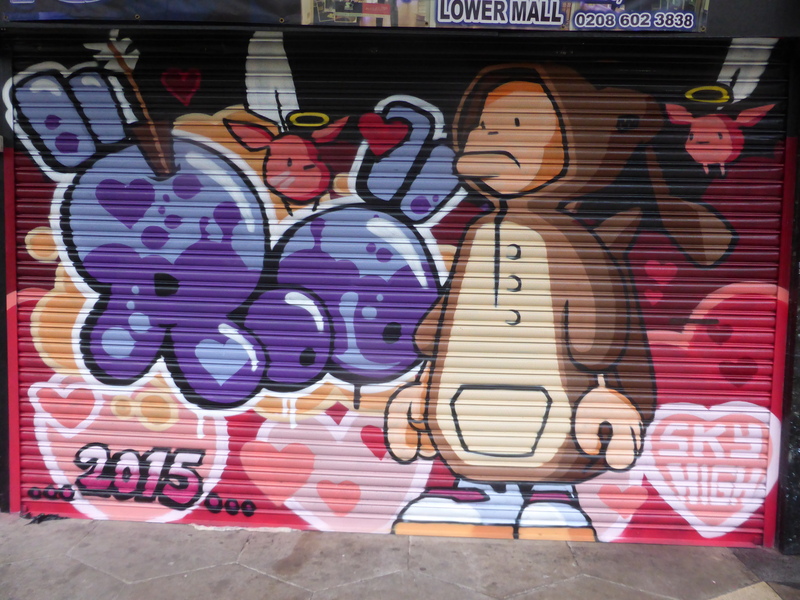 Works by Nerone & Cloakwork. ‘We Shall Never Surrender’ by David Hollier. 3. 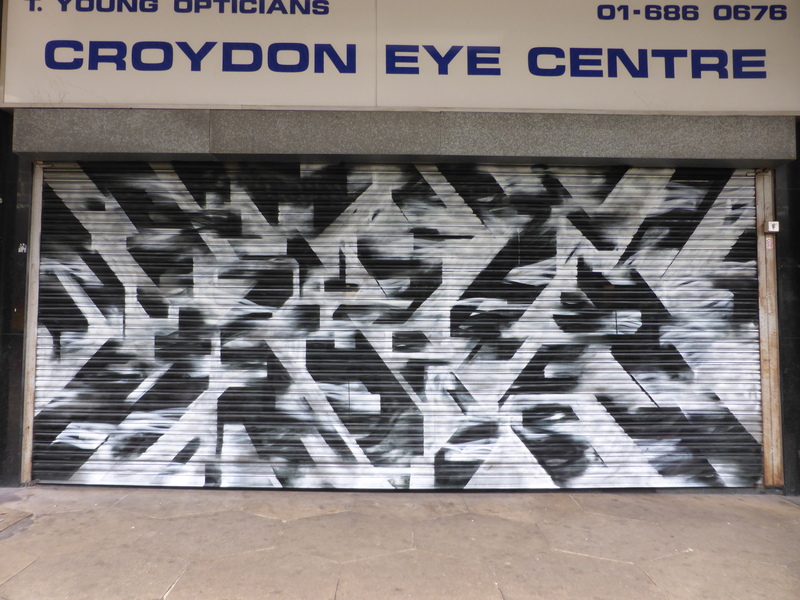 Turn left at the mural by David Hollier, where you may see the pair of shutters by Morgandy & Eska (shown below) and turn left into St. George’s Walk to meet a whole host of painted shutters and a wall or two, carrying on until you reach the main road. Work by Irony & Boe. Trio of works by New Art Rioter, Giusi Tomasello & Gary Alford. 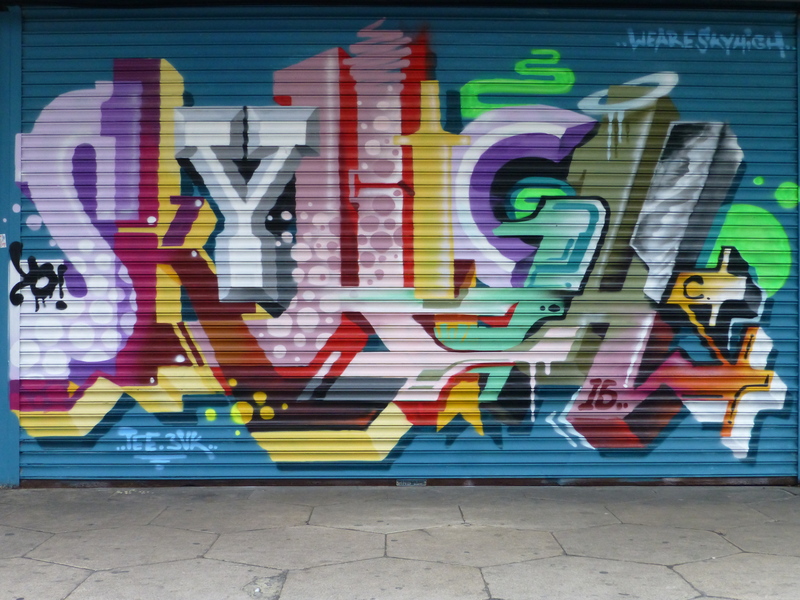 Classic shutter work by Ben Eine. 4. At the end of St. George’s Walk turn right onto Park Lane and follow along to the corner of Katherine Street and take in the great artworks along the way. Works by Sterling & Onion. Collaboration work from Vesna Parchet & Morgazmik. Fantastic pair of works by Fanakapan and Seeds One. 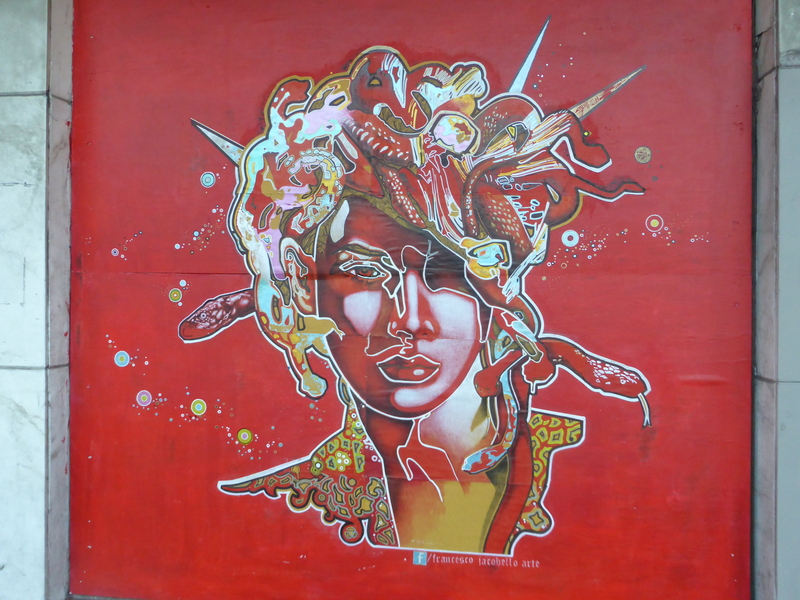 Work by visiting Brazilian artist Angerami, with his first ever work in London. 5. 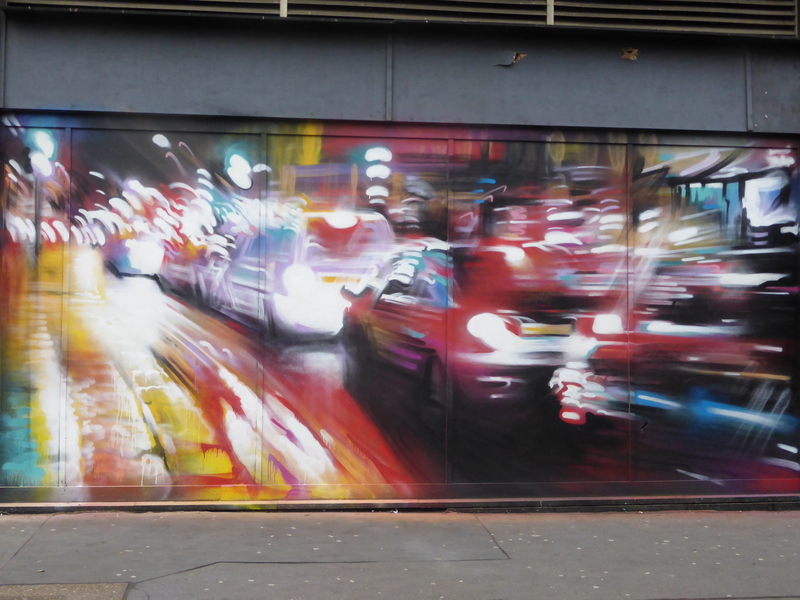 Turn right into Katherine Street and walk along to see a dozen fantastic artworks, especially those currently adorning the beautiful canvas the arches offer. ‘The Void’ by Senor X, an excellent piece to sit at the end of these arches. 6. From here cross over to the park on your left and walk around the lengthy square of hoardings that constitute Croydon’s Legal Walls, somewhere always worth a look, you will be surprised by what you may find. Once back where you started with the Legal Walls head back across the road and carry on along Katherine Street enjoying the last couple of paintings that comprise Croydon’s Arts Quarter. 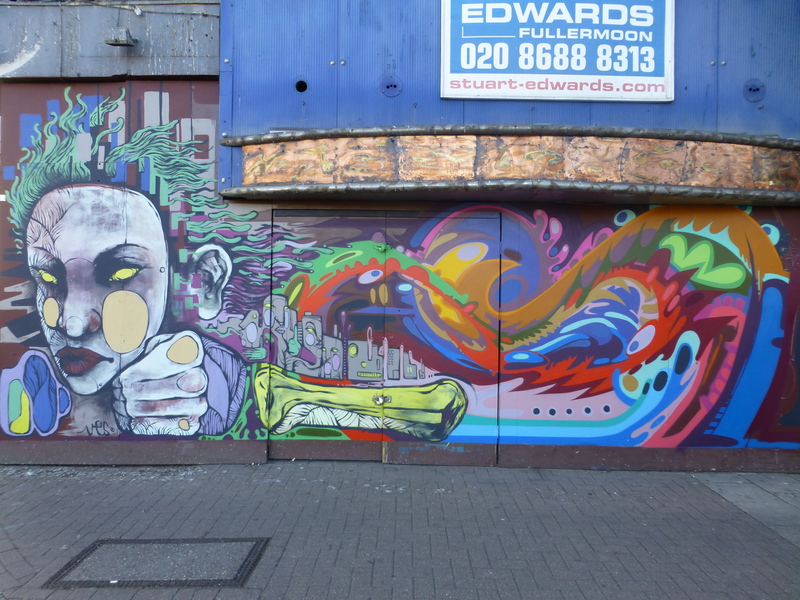 Work by Mr Cenz on the Legal Walls. 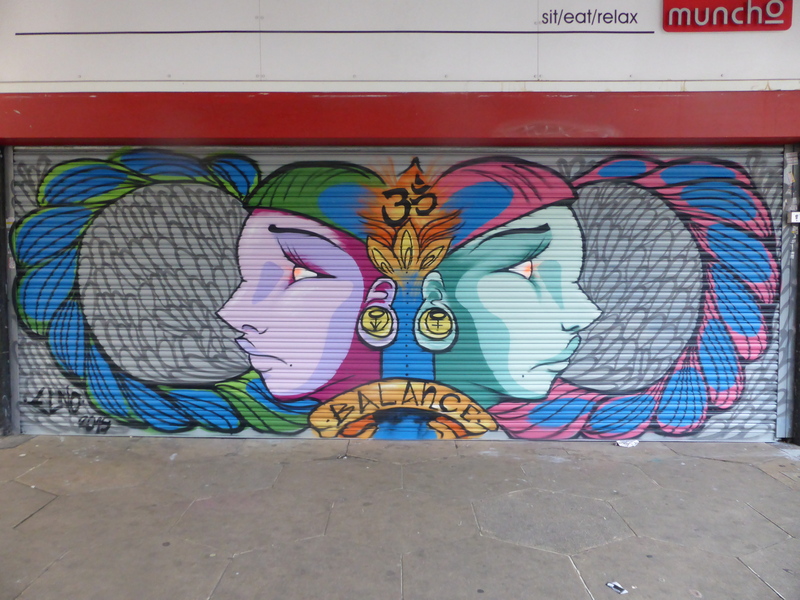 Work by Inkie on the Legal Walls. 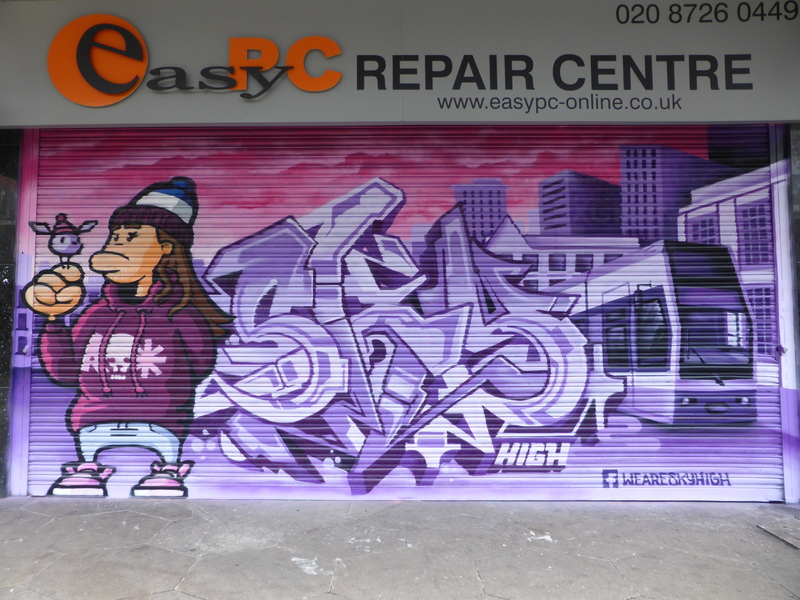 Works by SkyHigh, Un-Yun & Sterling on the Legal Walls. 7. 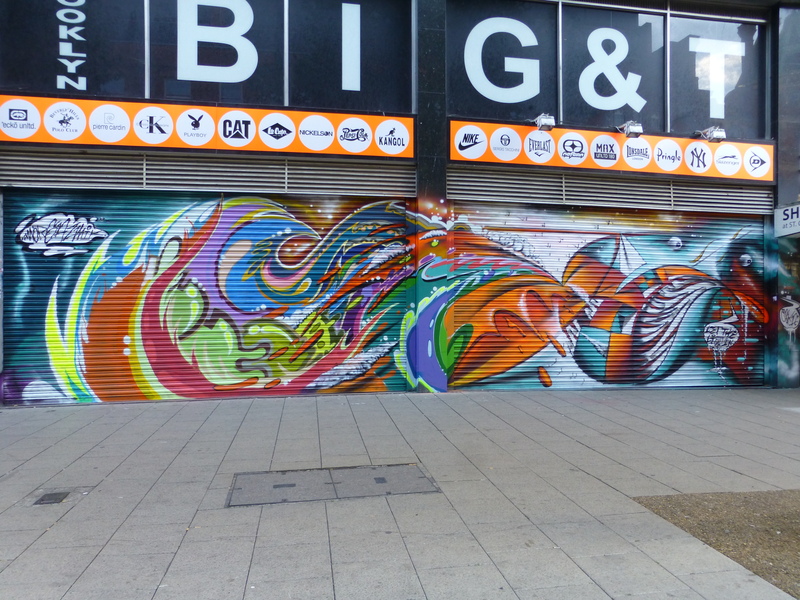 At the end of Katherine Street turn left onto Croydon High Street and in a minute or so look up to take in two great works by Dotmasters. 8. 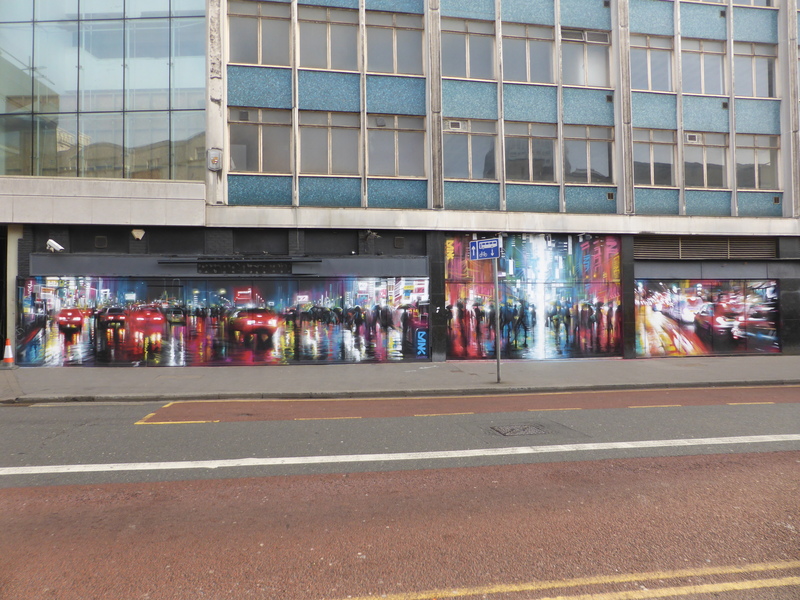 As you will have already crossed the road in order to photo the Dotmaster’s works, turn back the way you came and take the first left into Scarbrook Street where you will find a large-scale mural from Ben Eine and a work opposite by SkyHigh & Roo. 9. When done in Scarbrook Street turn around and take the near immediate left into Surrey Street and on the left look out for the church through the buildings and turn here into St, Matthew’s Yard to find a fantastic production by Itaweon, Autone, Morgandy, Eska, Kapese & Van Dali. 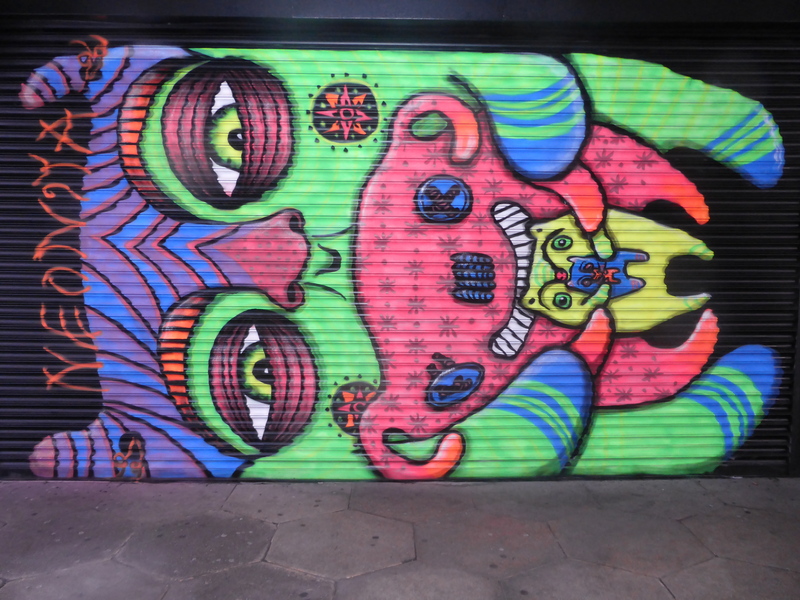 Work by Itaweon, Autone, Morgandy, Eska, Kapese & Van Dali. 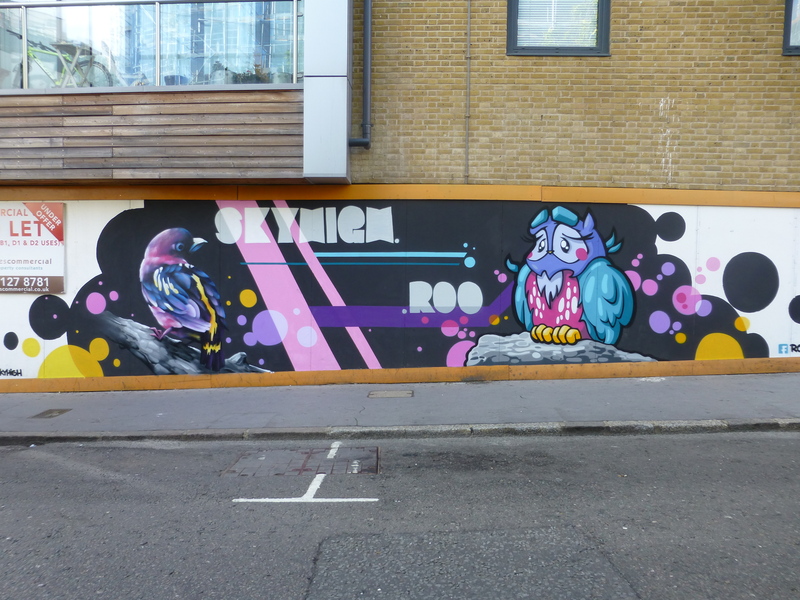 Work by Roo in St. Matthew’s Yard. 10. 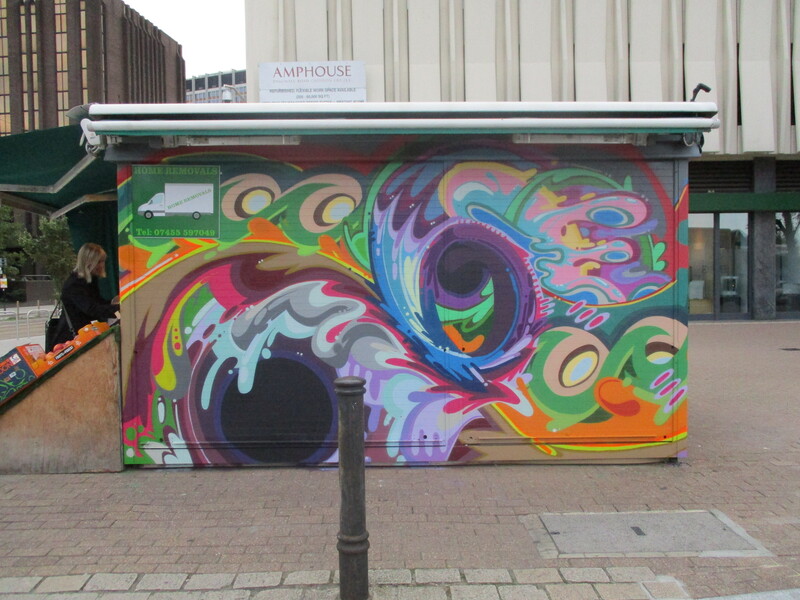 Completing our tour with one final work, head back out of St. Matthew’s Yard the way you came in and turn left where on your right you will see this superb work from Run for the recently installed Croydon Book Exchange. 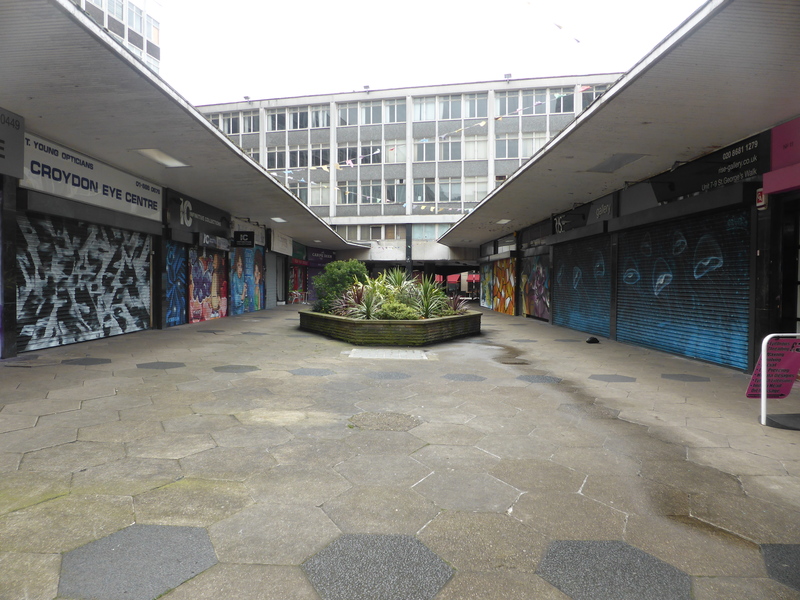 We hope you have enjoyed your Street Art walk of Croydon, from here carry on up Surrey Street and turn right up the hill and carry on straight over in to George Street and follow straight back up to East Croydon five minutes or so away.